This assumes you have already installed OpenLDAP and configured OpenLDAP to use your domain name, such as example.com. Create an LDIF file for the new organizational units (OU). 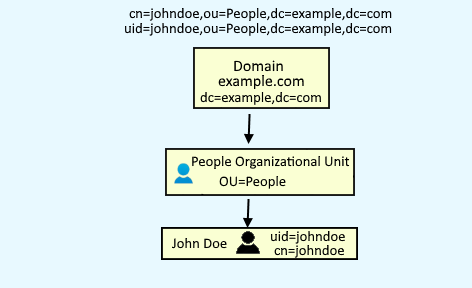 In this example, an OU named Group will be added to OpenLDAP. You can replace Groups with any other text, such as Users or myCustomOU. Add the OU into OpenLDAP. The ldapsearch command can be used to verify that the OU has been added to OpenLDAP.